Many believe that reverse mortgage are too risky for seniors to attempt, when there are other potential risks to their well being. Others find it that it could be taking advantage of the elderly and could cause financial burdens that could otherwise be avoided. Since the market crash in 2008, many steps have been taken to avoid the loss of money from reverse mortgages. Certain companies now require third party consultation before allowing potential reverse mortgagers to take to partake in this loan. 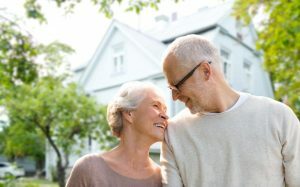 Overall, the process of receiving a reverse mortgage has become a much more viable and encouraged option to those are taking the proper precautions. Bloomberg discusses Mayer’s ideas in this recent article. You can find the best agent for you and your family at ldsagents.com. ← Buyers Market? Sellers Market?